The Galaxy S5 runs Android 4.4 out of the box, and most of the US and international versions of the Galaxy S4 have been given the KitKat update as well, but millions of owners of the Samsung Galaxy S III from 2012 are still sitting on an outdated version of Android. Sprint seems to be the first US carrier to alleviate that: this support page says the update for the S III is going out starting today. As usual, the folks at XDA are on top of things. The 500MB update ZIP file was posted on the Sprint S III sub-forum a few hours ago. If you're on a completely stock Galaxy S III you can load it up manually and flash the L710VPUCND8 update. Since carrier updates tend to be a little random with their nationwide rollouts, this is a great option for those who are impatient. If you don't mind the wait, check your Settings menu for the OTA. Sprint's support page doesn't mention anything new aside from the 4.4 software update, the first since 4.3 way back in November. A few changes are bound to be included, but apparently Sprint didn't think they were worth explanation. Experienced Android users, you know the drill: if you've rooted your phone and/or installed a custom recovery, you're almost guaranteed to fail the update. You'll need to either find a way to revert to an older stock software build or wait for someone to release a flashable 4.4 update. Everyone else, enjoy your KitKat. 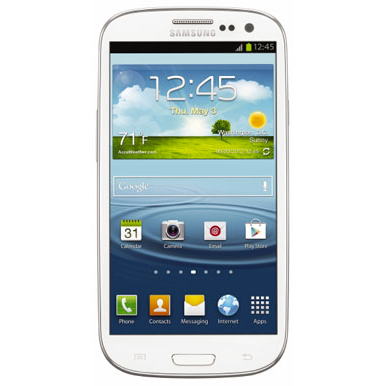 Sprint Galaxy S III users, if you've got the update, drop a screenshot for your fellow readers in the comments. Source: Sprint, XDA-Developers - thanks Sruly Jakubovic!